Have you ever listened to a song and wished that you could eliminate the vocals? 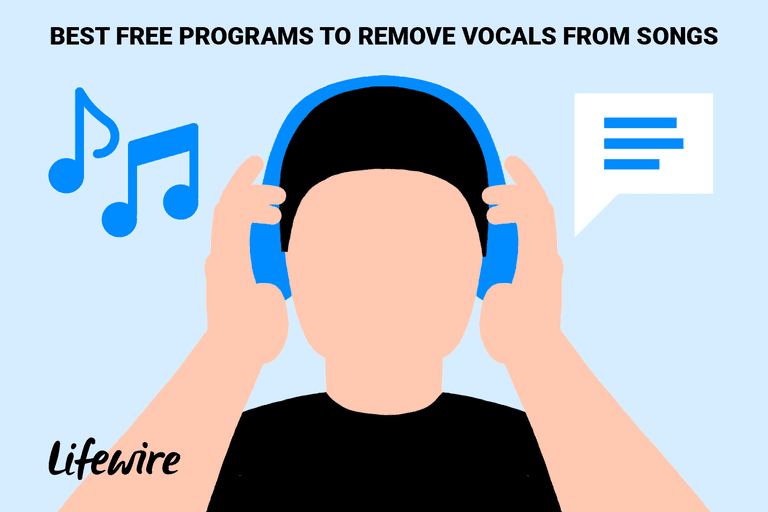 The art of removing the human voice from music tracks is notoriously difficult to do, but it can be done. It isn’t always possible to totally remove voice from a song because of varying factors such as compression, stereo image separation, frequency spectrum, etc. However, with some experimentation, good quality audio, and a little bit of luck, you can achieve satisfactory results. Software that can remove voice from a song can cost a lot of money. However, in this guide, we take a look at some excellent free software that can be great for experimenting with your digital music library. Lots of options to tweak waveforms even if specific plugins aren't fully successful. You really do have to understand waveform editing to make this work — steep learning curve. Rendering output as an MP3 requires additional setup and install work that's not immediately obvious. The popular Audacity audio editor has built-in support for vocal removal. There are different scenarios where this may be helpful. One is if the vocals are in the middle with instruments spread around them. Another is if the vocals are in one channel and everything else in another. You can read more about these options in the online Audacity manual. The option for vocal removal in Audacity is through the Effect menu. One is called Vocal Remover and the other is Vocal Reduction and Isolation. As with Audacity, lots of powerful waveform-edit tools. If you're interested in waveform editing, Wavosaur can't hold a candle to Audacity. As well as being an excellent free audio editor that supports VST plugins, batch conversions, loops, recording, etc., Wavosaur can be used to remove vocals from songs. As with all voice removal software, the results you get with Wavosaur does vary. This is due to various factors such as the type of music, how compressed it is, and the quality of the audio source. Properties screen in AnalogX Vocal Remover plugin. Image © AnalogX, LLC. Algorithmic approach to canceling based on commonalities in the channels of a stereo signal. Does one thing, and does it cleanly. Successful in only a relatively modest number of use cases. If you use the Winamp media player with your music collection, then AnalogX Vocal Remover can be installed in your plugins folder to remove vocals. Once installed, its simple interface is very easy to use. You can either use the Remove Vocals button for active processing or the bypass button to hear the song normally. There's also a useful slider bar so you can control the amount of audio processing. To use AnalogX Vocal Remover in Winamp, find the Options > Preferences > DSP/effect menu. Image © SOFTONIC INTERNACIONAL S.A.
Simplifies the process of isolating and removing vocals. A single-purpose app, so no extra bells and whistles to complexify the process. Karaoke Anything is a software audio player that does a decent job of removing vocals from music tracks. It can be used for MP3 files or entire audio CDs. The interface is very user-friendly. To work on an MP3 file, simply select that mode. The audio player side of things is very basic but does allow you to preview music before you start working on them. As you'd expect, there's a play, pause, and stop button. A slider bar is used to control the amount of audio processing when reducing vocals. Unfortunately, Karaoke Anything isn’t capable of saving what you hear. However, if you want a basic audio player for MP3 files and audio CDs that can filter out vocals, then Karaoke Anything is a decent tool to keep in your digital audio toolbox.